Let's talk occasion dressing... 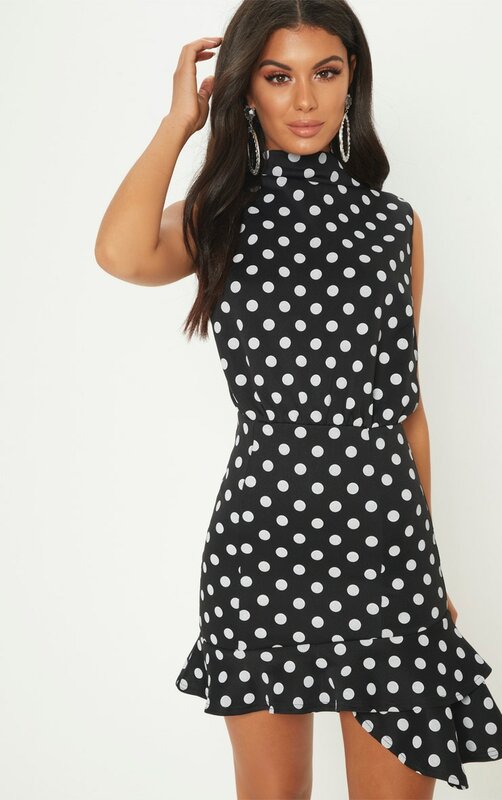 This bodycon dress is everything you need to RSVP yes. 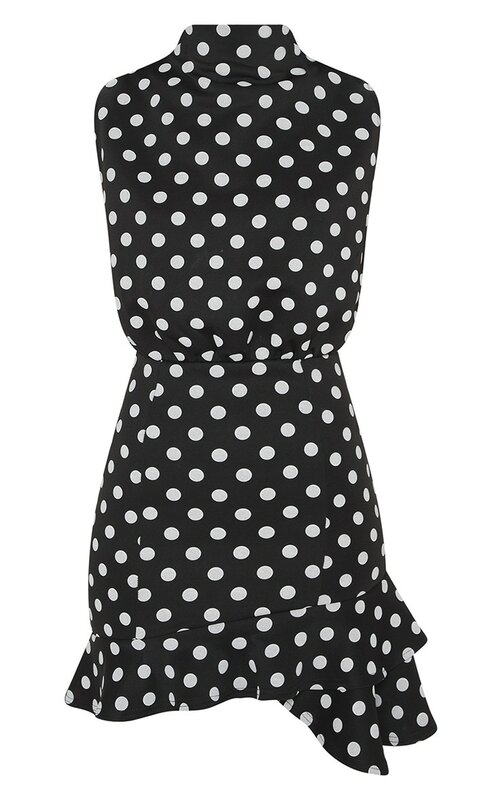 Featuring a black polka dot fabric with a high neck design and frill hem, team with strappy heels and statement earrings.